which is the white plastic block that's inside the switch & slides back & forth. It does not matter to me whether it's a headlight or WW switch. None of the English parts house have the switch that's this old - I've checked! 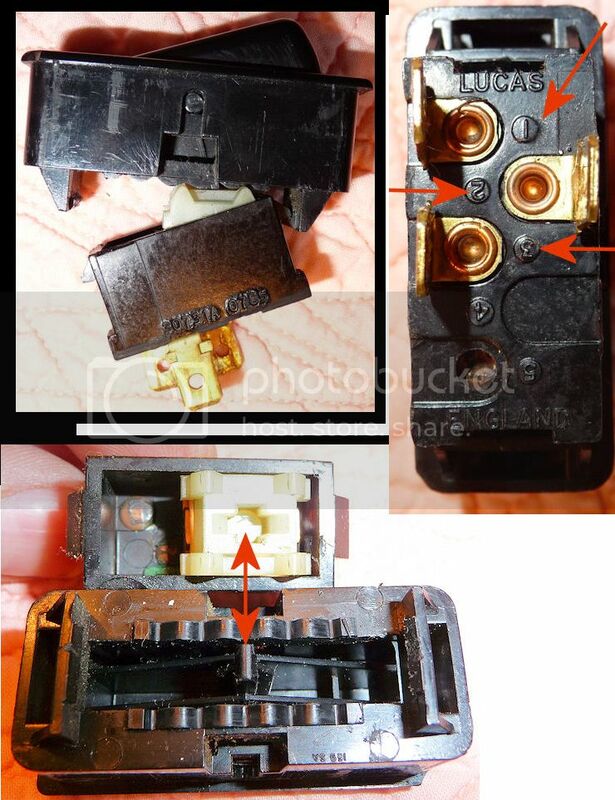 Maybe someone has a busted switch with the part I need? Yep! There's a few & I texted them with my specs. No response! 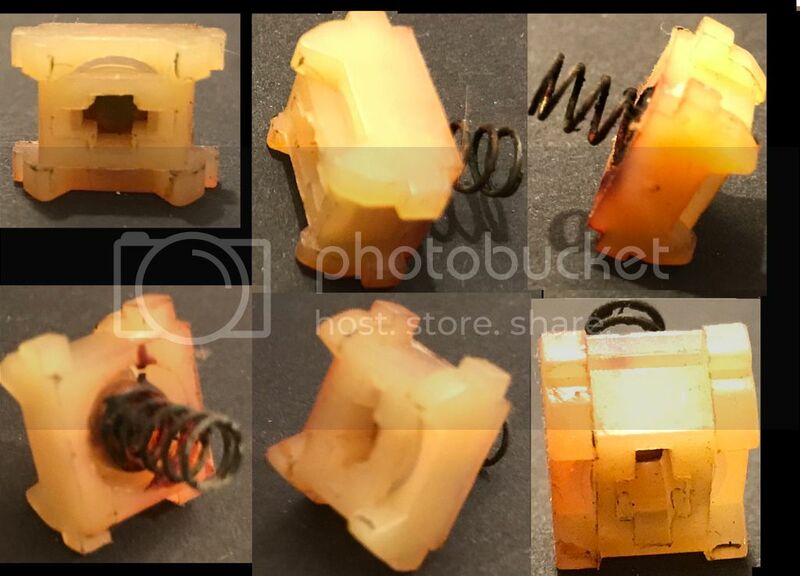 Also reached out on CL to people with Spitfire MG parts - No Luck! Let me dig around in my parts stash. I am heading out for business for the week right after I get out of work today so it won't be until the weekend. That part looks like it could be duplicated with a 3-D printer. Hi Gary, I'm sure it could but I'm not versed in that and it's a complex little bugger - otherwise I would have carved it. My last resort is to go to a more modern rocker but this twoie was factory assembled and they epoxied all the switches from the back. I'd hate to have to start messing with that when I can just find the part & pop it in. That's the reason I'm hoping someone has a spare. I hate to think of how many of those that I had at one time & tossed them extra in with the cars I sold. Oh The Power Of EBAY! Thanx to the Board Members who stepped forward to help-out!